The Institution of Structural Engineers revealed the shortlist for The Structural Awards 2017, featuring 43 entries selected from 119 projects globally. Now in its 50th year, these prestigious annual awards showcase the world’s best engineering structures and demonstrate the diversity of structural engineering. 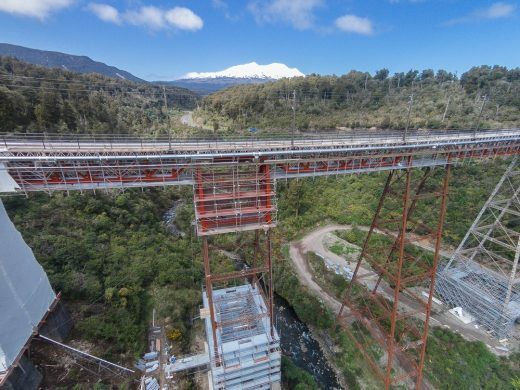 Makatote rail viaduct is located in the North Island of New Zealand. It is one of the tallest railway viaducts in the country and holds significant heritage value for its elegance and the technology used at the time of construction (circa 1908). The viaduct began to suffer from corrosion which subsequently led to section losses of steel elements. The viaduct was refurbished and strengthened to extend its life for another 50 years. 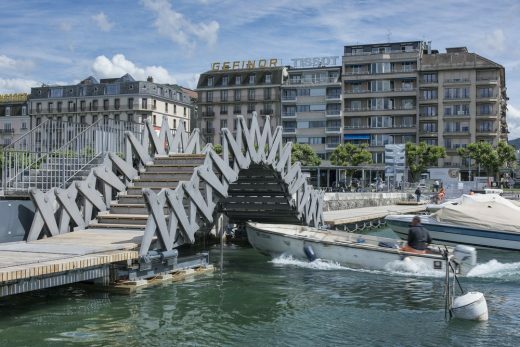 Like a ribbon that gradually unfurls across the water, the new walkway is a fluid area that invites you to stroll and wander around the foot of the most emblematic monument in Geneva: the Jet d’Eau. The watchword for this project was accessibility for all: boats, yachtsmen, walkers, tourists and people with reduced mobility. 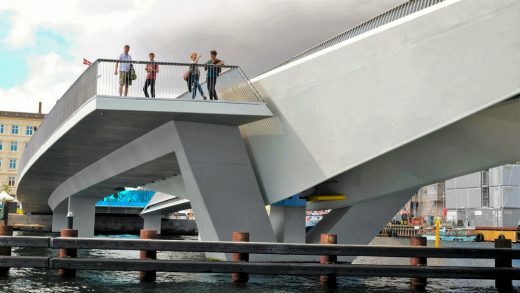 This beautiful opening pedestrian and cycle bridge across the harbour in the centre of Copenhagen is known as “The Kissing Bridge” due to its iopening mechanism, where parts kiss at the centre. The bridge operates with a unique rolling mechanism and has become a very popular meeting point and a well-used crossing of the harbour. The engineering of the steel moving spans was complex, owing to its unusual and unique geometry. British Airways i360 is the world’s tallest moving observation tower. 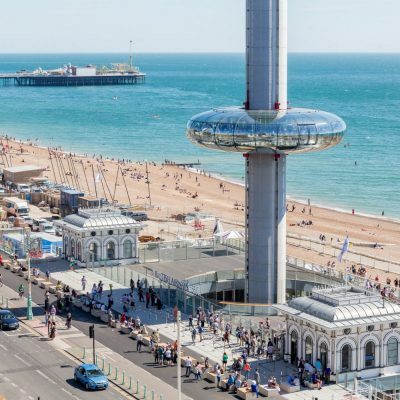 Located in Brighton, it carries 200 passengers at a time in a circular glass viewing pod, which rises slowly from beach level to a height of 138m. The tower is 162m high and only 3.9m in diameter holding the Guinness Record for the “world’s most slender tower”. The tower was delivered by barge directly to the beach and erected by a novel “top down” method without the use of cranes. It features purpose-designed perforated cladding to minimise vortex shedding, and sloshing liquid dampers to limit wind-induced dynamic movements. The minimalist finish to the Pod has been designed to avoid any distraction from the viewing experience. Three swooping, entangled sculptural steel pieces celebrate the Bavarian marque’s centenary. A hollow monocoque steel shell construction delivers an astonishingly lightweight and rigid structure pushing all the boundaries of form, curvature, span and slenderness. For this demanding client everything had to be flawless, with perfectly smooth curves and not so much as a single ripple in the steel to break the spell. The Smile represents the first ever use of large hardwood cross laminated timber (CLT) panels and has received worldwide acclaim for the way it effortlessly combines structure and architecture in the most ambitious CLT structure ever built. 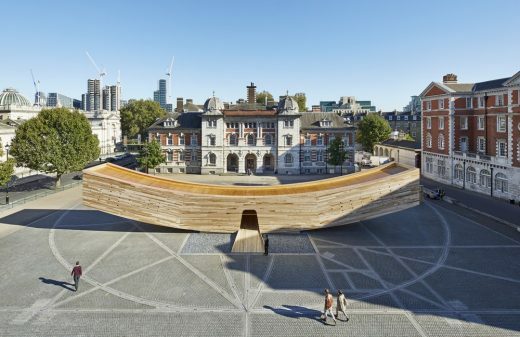 It has been described as the happy face of the timber construction revolution and was designed as the centrepiece of the 2016 London Design Festival. 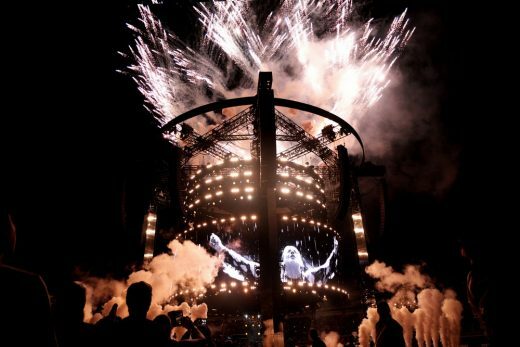 Creation of an innovative new stage concept for Adele’s 25 album tour. Responding to the demanding requirements of the design brief, an efficient and elegant structural solution was developed with sustainable legacy use at its heart. The design response focussed on minimising working at height, unobstructed views negating traditional bracing, and facilitating containerised transportation. The Tate Modern Switch House forms the second and final construction phase of the Tate Modern gallery. It is a unique building that has pushed the boundaries of modern design and engineering. It provides extraordinary spaces for Tate to present an increasingly international view of modern and contemporary art from around the world. The building successfully integrates display, learning and social functions, strengthening links between the gallery and its locality, and establishes a new model for public galleries and museums worldwide. 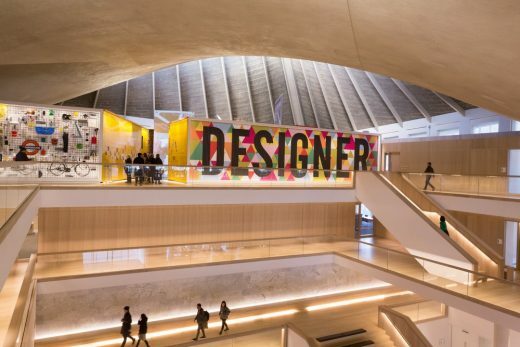 Arup provided a radical engineering solution to enable the successful re-invigoration of the Grade II* Listed Commonwealth Institute exhibition building, creating a new home for the Design Museum. 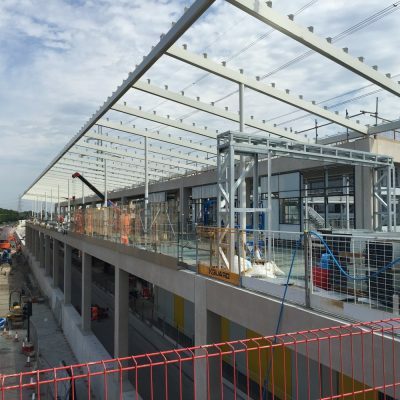 The sophisticated solution involved strengthening and then retaining the building’s 2000 tonne (55m x 55m) roof and primary structure by temporarily suspending it 20m above ground, supported entirely by temporary works. This enabled the replacement of the existing façade and internal structure and the creation of a significant new basement covering the entire building plan. The new Crossrail station at Custom House was a unique opportunity for design and construction. It will welcome millions of visitors to London’s largest conference centre, ExCeL, and provide vital connections to the people and businesses of Newham. 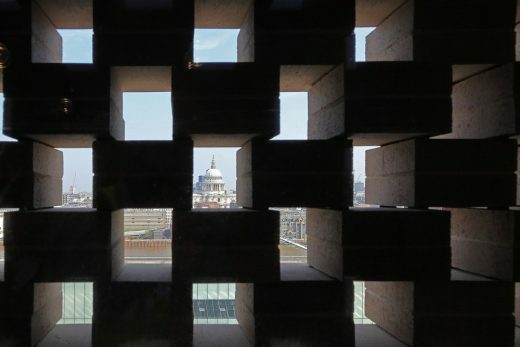 Faced with a number of constraints, the ‘kit of parts’ strategy for Custom House’s construction included pre-fabricated and standardised components. The majority of the station was built off-site – minimising work on-site, driving down programme times and costs, and reducing the impact on the local community. 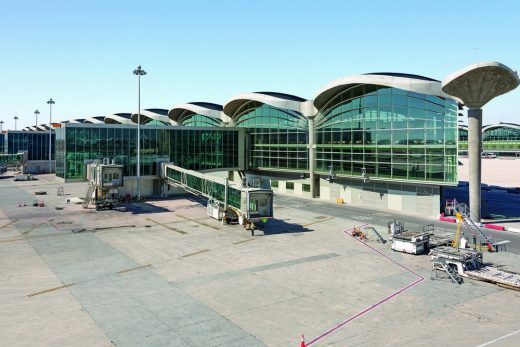 The new Queen Alia International Airport will serve as the main gateway to Amman – one of the oldest continually inhabited cities in the world. Its architectural design will allow the airport to grow by 6 per cent per annum for the next twenty-five years, increasing capacity from 3 million to 12.8 million passengers per annum by 2030. Conceived in 2005 through a collaboration between Foster + Partners and BuroHappold Engineering, the concept combines engineering excellence with breath-taking architectural beauty, whilst allowing construction works to be phased according to the needs of the client. The concept itself involved the development of a striking roof structure under which the entire airport building could operate. 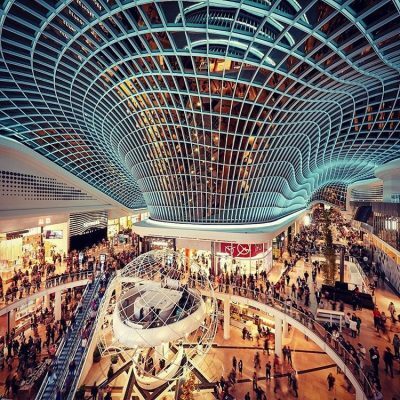 The design for structure and glazing of a catenary steel gridshell for the Chadstone Shopping Centre in Melbourne. The roof structure is glazed with quadrilateral panels of varying sizes. 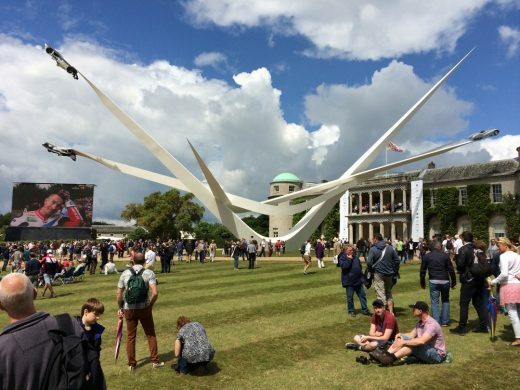 The highly efficient double curvature of the gridshell covers an area of approximately 7000 sqm and spans up to 32m. Bespoke software has been developed in-house for this project to create a roof form that combines an efficient form, planar fabricable panels and an elegant boundary. 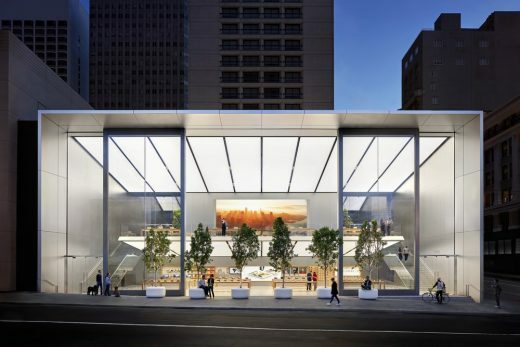 Located on San Francisco’s Union Square, the new Apple Store involved the addition of a new superstructure over a functioning basement ballroom and corridors. The project consists of three volumes: the Store, the Bar Building, and the Plaza. The Store connects to Union Square on one side, to the Plaza on the other and contains an 11m cantilevering mezzanine floor within the 13.5m high main space. The Bar Building beside the Store transfers over the entrance ramp and loading dock of the neighbouring hotel. This project illustrates how the structural, environmental, and architectural visions have come together to form a holistic design. The glass pavilion is located in Shuncheng Mall plaza in Yunnan province of People’s Republic China. With 24 doors, its main purpose is to form an open entrance allowing people to enter the store from all sides of the plaza. A glass stair then leads underground to the showroom. A reinforced concrete slab provides support to the structural system of the pavilion. This is formed by 8 5.4m height U-columns which consist of one circumferential and 2 radial Sentry Glass laminated structural glass panels. A Carbon Fibre Reinforced Polymer (CFRP) roof with diameter 20.9m is supported by the glass columns and in turn it holds up an acrylic skylight. The open space between the U-columns is covered by 16 swing and 8 pivot doors respectively. Set on a hillside against the Andes Mountains, the Bahá’í Temple of South America welcomes worshipers from all directions through its nine entrances. 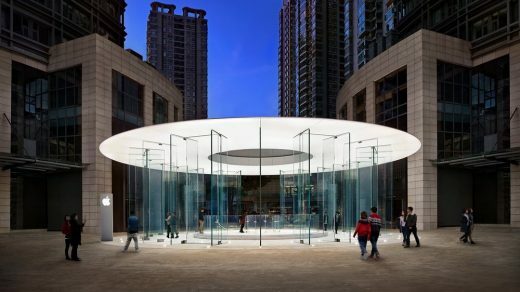 The Temple – which lets in light during the day and appears to glow in the evening – is comprised of nine wing-shaped, translucent petals of free-formed tubular steel space trusses clad with cast glass on the exterior and marble on the interior. 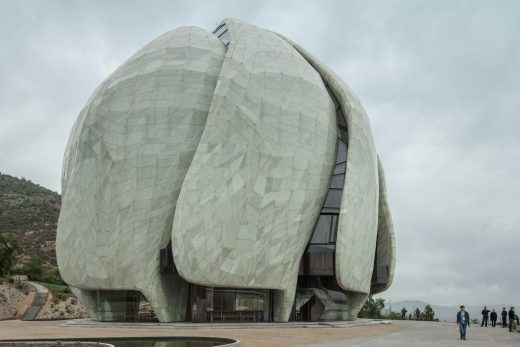 Constructed in a high-seismic zone with unique materials and structural systems, the Temple’s structural design employed performance-based design methods, extensive materials and structural testing, and seismic base isolation. This year’s shortlist of ground-breaking projects offers a glimpse into a diverse range of buildings, celebrating excellence through exemplary engineering solutions. The buildings, bridges and landmarks created are beyond the ordinary, indicating technical superiority and absolute attention to detail. Institution Chief Executive, Martin Powell, said: “Structural engineers are the unsung heroes of so many projects and these awards showcase their skill, expertise and creativity. Working alongside architects and designers, a structural engineer not only makes the structure look iconic, they ensure it is fit for purpose and safe for our use and enjoyment. Whether it’s a bridge connecting communities or a concert stage designed for our entertainment, structural engineers are the guardians of public safety who ensure any structure can withstand all kinds of stresses and strains. Following strict judging criteria, shortlisted entries were selected for excellence, creativity and innovation, as well as elegance and detailing. Sustainability, economic viability and value for money, were also core considerations. The complete shortlist can be viewed at www.structuralawards.org. The winners will be announced at the Awards Ceremony which takes place on Friday 17 November 2017 at The Brewery, London.